Your beautiful floor awaits you! Do you have a specific design in mind? Look through our services then give us a call! Whether you’re thinking about remodeling your landscape or renewing some old concrete, we can do it all. 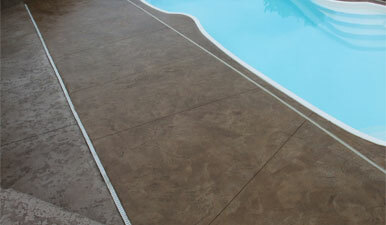 Pool decks, walkways, patios, and driveways, all are important factors for your home and business. Our team of licensed and experienced individuals know how important the surrounding concrete of your landscape is to the overall look of your property. When choosing between ripping out your old concrete and laying a new one or renewing the one you already have, which one is more cost-effective? 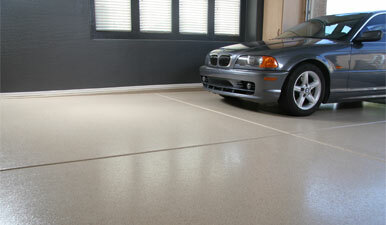 Resurfacing allows you to renew your current concrete and is much more cost-effective than any other viable option. If your old concrete is in any distress and needs change immediately, give us a call, because resurfacing can take an old and stained slab of concrete and transform it into a work of art. 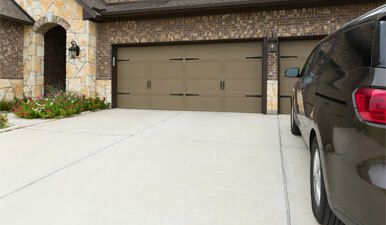 When your concrete looks new so does the rest of your home or business. 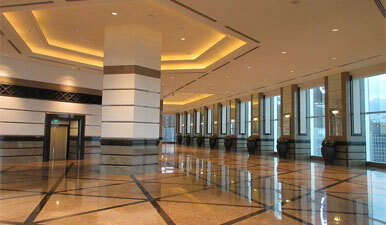 For any type of property, industrial epoxy, residential epoxy, or commercial epoxy, epoxy coating offers many benefits. These versatile floors last for decades, resist chemical degradation, are waterproof, moisture and bacteria resistant, and can withstand heavy wear/tear caused by machinery or foot-traffic. An epoxy coating makes your concrete stronger than it would be on its own by curing with a blend of resins and hardeners. 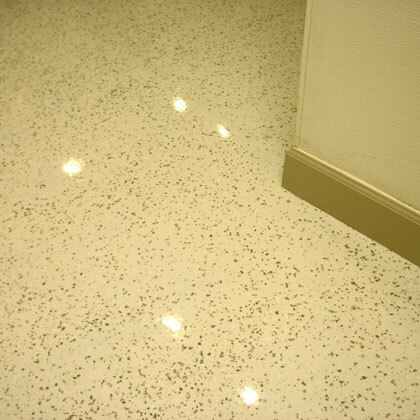 With our expertise on epoxy flooring installation, you are guaranteed satisfying results. Epoxy flooring systems can mimic other types of flooring like, wood, tile, marble, and more; however, epoxy does not require the same maintenance to keep its elegance and beautiful qualities. For lower prices and less maintenance, you can have the best of both worlds. Did you know that a damaged pool decking can cause serious safety hazards along with a significant decrease in value in your home? With our pool deck resurfacing services in Bainbridge, GA not only can you make your concrete pool decking safe again, but you can also customize your pool decking with any type or number of our amazing pool deck resurfacing materials. We offer fast and affordable concrete pool deck resurfacing so you can have your pool ready for the swim season that is right around the corner! Let’s work together to make your backyard a spectacle with our pool deck resurfacing services! Have you ever seen a floor that creates an illusion? One that makes you feel like you may be walking on clouds, on rocks, or across lava? That is what a metallic epoxy floor can accomplish. These floors are truly one of a kind because they can never be replicated, even if the same artist tried to repeat the art piece. You will be the only one in the world with that specific floor, and the maintenance is just as simple as every other epoxy flooring, minimal and non-time consuming. It is a beautiful option for a room or space you want to make an exotic space. Living rooms, kitchens, basements, hotels, showrooms, and many more areas have installed metallic epoxy floors for the attention they draw and the sense of individuality that they bring. If you want a floor that expresses your personality, then you need to give us a call today! Polished concrete floors gleam and reflect light like glass, they provide a look of elegance that is unmatched by other flooring types. This is best used in areas where floors are exposed to a high level of impact because they make your concrete strong and durable, without having to lay a new slab of concrete. Sealed concrete is better used in an environment where water and moisture are an issue because a sealed surface prevents mold and bacteria growth. Concrete is naturally very porous and when its pores are sealed off the water cannot seep into it destroying it from the inside. Each one of these options is amazing, however, each one serves a special and specific purpose. If you’re wondering what type of flooring you need in your space, give us a call today! Wood is expensive and strenuous, but it is beautiful, so it was once very popular. Today, epoxy wood floors are the new rage because you reap all of the benefits of a wood floor, like, glamour, sophistication, elegance, beauty, rustic, and anything else that comes to mind with a wood floor. But with a real wood floor, comes backbreaking work because wood requires special cleaners, regular floor treatments, and expensive replacements that are inevitable. Epoxy wood floors allow you to lavish in all of the benefits of a wood floor with ever having to care for it like one. Have you always dreamed of hardwood floors but haven’t wanted to spend a fortune? Or spend more time caring for them than enjoying them? Give us a call, we have the solution that you need. Cario, Georgia and the surrounding areas in Southwest GA can experience weather that is sometimes unpredictable, therefore, your floors experience more than one type of winter, summer, fall, and spring! When you have a professional come out to inspect and install your floors, you want someone who is experienced but also knows the area. Our experts know what kind of exposure your floors will be experiencing throughout the coming years; therefore, they know how to install your floors properly. We love what we do, and we are dedicated to making sure you love it too. With decades of combined experience, we guarantee a job well done. We believe each client and project should be treated on an individual basis, as a work of art. We are devoted to excellent customer service, give us a call, you’ll see. Our team is the best in the Southwest area, if you have any flooring questions or issues, give us a call today! Our team is made up of professionals who know what the flooring business entails. Don’t let just anyone install your floors because beautiful floors should be installed to last not to repair. We know floors and we want to hear from you today! Our team of technicians has been in every situation imaginable with floor types, designs, and more. We know how stressful choosing, installing, or designing a new floor can be, that is why we are here. We want to make this experience as smooth as possible for you. We know where to start and where to end. Bring any questions our way, we can’t wait to hear from you! Floors shouldn’t be wallet-draining projects or events you should dread. We offer high-end materials for low-end prices because we want your vision for your floors to come true. Whether you’re looking for a new floor for your home or your business, we are here for you. 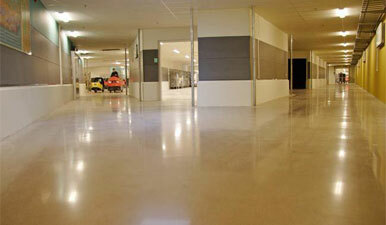 Looking For A Professional And Reliable Epoxy Flooring Contractor? With unlimited combinations with colors, patterns, designs, and textures, choosing any type of floor can be overpowering. We are thrilled that you have chosen our team to accompany you on such an important journey, our professionals understand how important this is for you. We want to turn your bland and boring floors into eye-catching works of art. Here in Valdosta, Georgia and the sounding areas in Southwest, GA our technicians don’t settle, and they don’t quit. No project is too big or too small for us to handle. 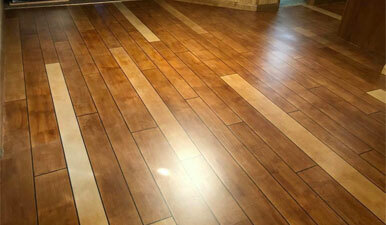 If you have an idea, desire, or true vision of a new floor, give us a call, we are here to help. Every situation is different, and every floor requires a thorough assessment. Is your concrete showing aging spots? Or, is it simply not living up to your standards? No matter if it is inside or outside, we are here to help. Your epoxy floors will last decades when professionally installed. Whether you know where you want to start or are still lost in the direction you want to go, give us call, we’re going to help guide you! LET’S GET STARTED ON YOUR NEW EPOXY FLOORS NOW! Epoxy Flooring Thomasville is the top rated professional epoxy flooring contractor in Georgia. If you are looking to have an epoxy flooring system installed in your home or business then don't hesitate to give us a call right now for a free quote! We are a third party referral company. All referrals are sent to a licensed contractor in Georgia.